In classical Chinese medicine, our bodies are not seen as separate from the phenomena of nature. The transitions between seasons tend to be the most unstable, vulnerable times for human beings, when annoying symptoms and remitted conditions are more likely to flare up or be slow to recover. In particular, the transitions from Yang-to-Yin (Spring/Summer to Fall/Winter) and Yin-to-Yang (Fall/Winter to Spring/Summer) are difficult times for our health, and therefore a great time to harmonize with an acupuncture tune-up. (By Paolo Propato) Many people have been asking me if they should start a ketogenic diet. This diet is sparking interest and having many question what is best for their health. We have vegan, vegetarian, paleo, mediterranean... the list goes on. Each has positive aspects which helped certain people lose weight or overcome a health issue. Yet this does not mean a particular diet will necessarily work for you. Someone that is anemic will not hear me advise to begin a vegan diet; nor would I prescribe a green juice fast to someone that been weakened by illness. Everything has its proper time and function. In acupuncture we treat the individual pattern of a patient no matter what the symptom. If five people come in with back pain, different points will be used for each of them according to what is being seen through the pulses and palpation. We may also needle points that are known empirically to be effective for a symptom. As in acupuncture, a healing diet needs to be tailored to individual needs. * A 2013 network meta-analysis comparing physical treatments for osteoarthritis of the knee found that, when looking at high quality studies, acupuncture had the largest effect compared to usual care out of the conditions evaluated, out-performing exercise, sham acupuncture, and weight-loss. 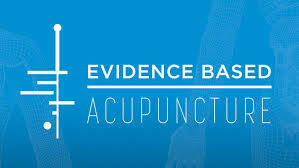 * A 2015 network meta-analysis comparing treatments in addition to exercise for shoulder impingement syndrome found that acupuncture was the most effective adjunctive treatment out of 17 interventions, outperforming all other adjuncts such as steroid injection, NSAIDs, and ultrasound therapy. * In 2018, a network-meta-analysis found that acupuncture was more effective than drugs for treating chronic constipation and with the fewest side-effects.